3. 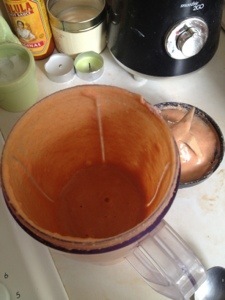 Add 1 scoop of vanilla or chocolate casein protein (use casein not whey as whey denatures – becomes nothing, when heated). 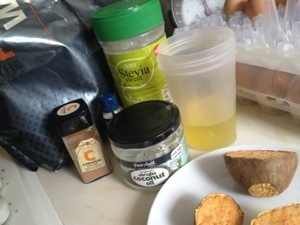 1 tablespoon of Stevia. 1 tablespoon cinnamon. 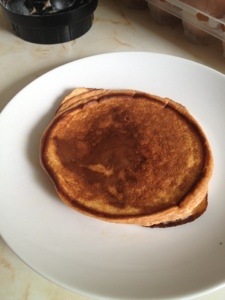 A couple of drops of vanilla extract, 1 teaspoon of baking powder and about 125ml of liquid egg whites. 4. 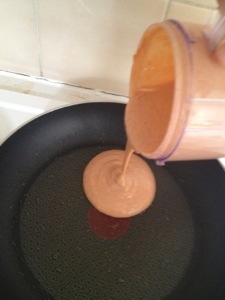 Mix all the ingredients in the bowl until a thick batter. 5. Heat a frying pan on the hob to a medium heat and add a teaspoon of coconut oil. 6. 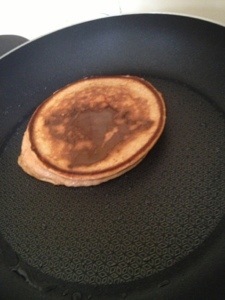 Pour your desired amount of batter into the pan to create your pancake. (You could make 3 small or one big one. Bare in mind that the bigger the size, the longer it will take to cook and could burn the outsides before it is fully cooked through).